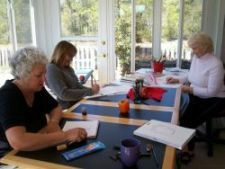 Keep Free Online Art Classes Up And Running! I have placed ads on just about every page to monetize my website and this strategy has helped keep Free Online Art Classes really free. Occasionally, I receive a viewer's email asking if they can donate to this website and that is why I created this page. It presents an option for those who would like to donate and, really, any amount is always appreciated! If you have ever created a blog or a website, you know that a considerable amount of time can be spent building and maintaining it, tweaking pages, updating images and content to get it (and keep it) ranking well. Since I started this website seven years ago, the Internet has changed significantly. It is an ever-expanding universe of information and an exploding social medium. It is viewed on a pc, laptop and mobile device and spans many cultures. It is linked to our lives through devices that monitor our bodies, our businesses, our homes, our cars, our children and grandparents. Over the years I have seen a steady increase in viewers and, as you can read in the "Real Feedback" columns on the right, viewers often email supportive, enthusiastic and positive responses, for which I am truly grateful. If you haven't taken an art class yet, I hope you try some of the lessons. 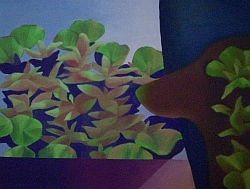 Visit the many art instruction and art resource pages here on the Free Online Art Classes.com website. Then consider donating...any amount. And thanks so much for your support! If you are considering donating to my website, fill out the form below. Also, I welcome your comments, suggestions and questions. Just contact me!